Interrupting regularly-scheduled content for a moment of silence for Deah, Yusor, and Razan, 3 young Muslims from North Carolina, USA who were shot to death, assassination-style, in front of their own homes by a white domestic terrorist. The media is of course, when they finally did decide to report on this tragedy (if it was in reverse it would have been front-page of all media outlets within hours), ignoring the hate and xenophobia that fueled this killing. I will stop here, as my thoughts are now a bit too raw and unpolished. My thoughts, prayers, and solidarity are with the victims and their families. 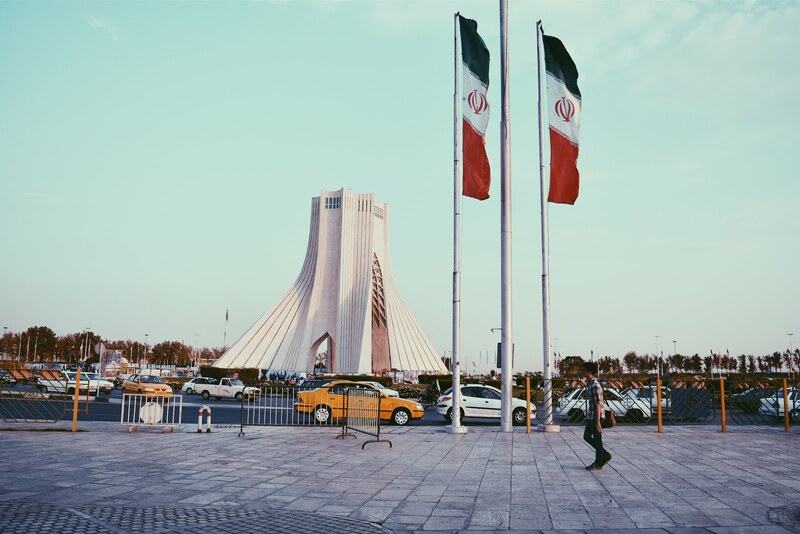 I've shared a bit more on my Twitter: @hodakatebi. If you are in the Chicago area, we have organized a candlelight vigil tonight at UChicago at 6:00pm. The event can be found here. 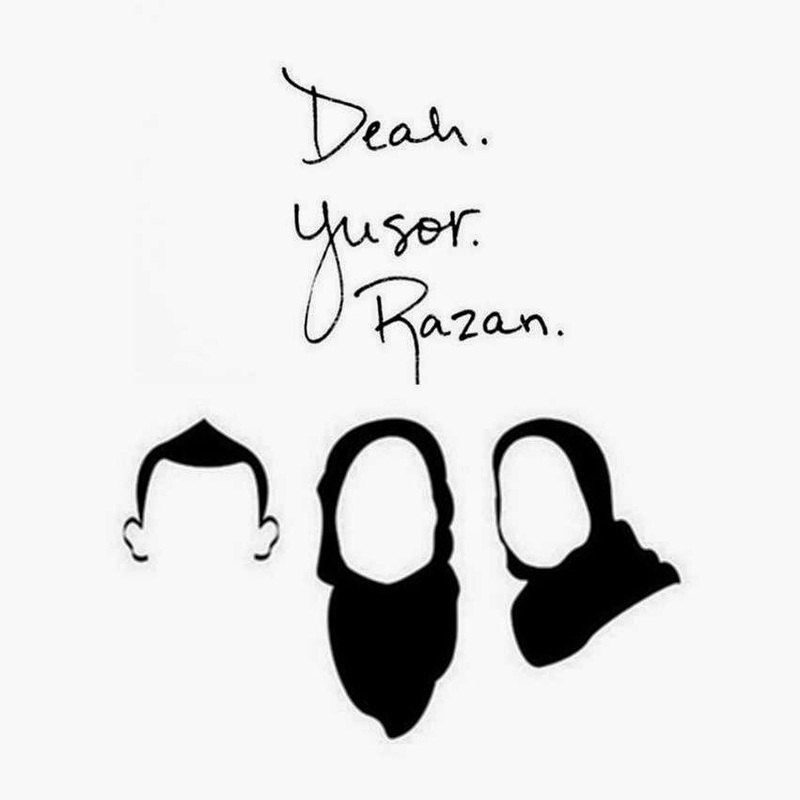 Deah, Yusor, and Razan, you will live on in all of our hearts. I'm so sad to hear this. The news is saying their religion had nothing to do with the incident, but I'm not buying it for one second. If I lived in Chicago, I would go to the vigil! Good luck! Seeing how terribly every major news outlet covered (maybe failed to cover is the right set of words) makes me so angry! Sometimes this country is just so backwards. We call everybody names, but fail to throw those names around when someone of our own race is involved. Worse, I feel like the news outlets tried to give him some kind of reason (like I read somewhere that it was a parking dispute?) instead of calling it what it is, which is a terrorist killing three beautiful people with their whole live ahead of them over race & religion. It is heartbreaking to hear this, and also heartbreaking with the way the press is handling it. It seems to be getting very little coverage and from what I have seen in a lot of mainstream media, they are reporting the "incident" as a result of a "parking dispute." Disgusting. I will be keeping Deah, Yusor and Razan's families and loved ones in my heart. I'm really sorry to hear this. I was devastated when I heard the news. They are in my thoughts. I'm glad you are voice for these people. It is awful that things like this happen. I hadn't even heard of this at all. This is so sad. Extreme fundamentalists of any religion scare me! But they get reported on more, evidently, if they're not part of the dominant religion! The killer was an atheist, actually. But I do agree with your sentiment in that the media does seem to have a hierarchy in the importance of lives they deem important enough to report on. Hoda--atheists can be extreme fundamentalists, too! All it means is to fanatically follow the fundamental precepts--as you believe them to be--of your belief system! I won't say more, because if I did, I could go into a tirade, and that is not the purpose for this post. To Deah, Yusor, and Razan, may you rest in peace. My thoughts and prayers go out to their families. And I pray that their death will not go in silence. I'm really sorry to hear about this tragic news and disappointed to know how the media handle this matter. My condolences to the family and love ones of the victims. My thoughts are with the families of these students. The Guardian was the first site I saw that actually covered this story properly when it first happened. This is so heartbreaking. It isn't news here in France, but everyone I know back home is just as shocked and saddened by it. I hope it gets the media coverage it deserves in the U.S., even though I'm fairly confident that it won't :(.